We are animal lovers! Dedicated to providing low cost spay/neuter, and needs based assistance with medical treatment for animals of Northeast Arkansas. 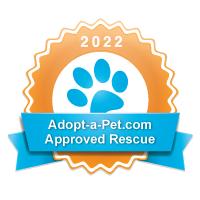 We operate on the donations of those who share our heart for animals and income from our thrift store. Remember to check out our store as our items are always changing. It is your chance to find exciting bargains and help fund our programs. Five Rivers Animal Aid is proudly offering spay/neuter assistance! Please visit our Spay/Neuter page for details.